I went to Chicago last weekend. This is one of the things happening in September that is keeping me from writing. I have been squashing the lazy shirking feeling and have been telling myself that not writing for a month is actually A Good Thing. Not writing means that the little trolls or fairies or mice on unicycles that slog in the story factory will have time to relax, improve their nutrition, and oil their unicycle wheels without any interference from management (me). When I got back, the furniture would be tastefully re-arranged, morale would be at an all-time high, and one-wheeled bicycles would glide with eerily silent efficiency. I would sit at my desk and perfect stories would flow from my fingertips to the keyboard at An Amazing Rate (TM). Complete with exciting plots, fascinating characters, and wicked one liners. Dream on, me. Walking down Armitage with a lull in the conversation, I couldn’t resist giving the factory a little exploratory poke. Just lifting the lid a leeetle bit to see what delights might be brewing in there. And you know what…nada. Just nothing. No exciting fragrances. No curious but exciting scurrying. Not even the sound of a squeaky wheel. 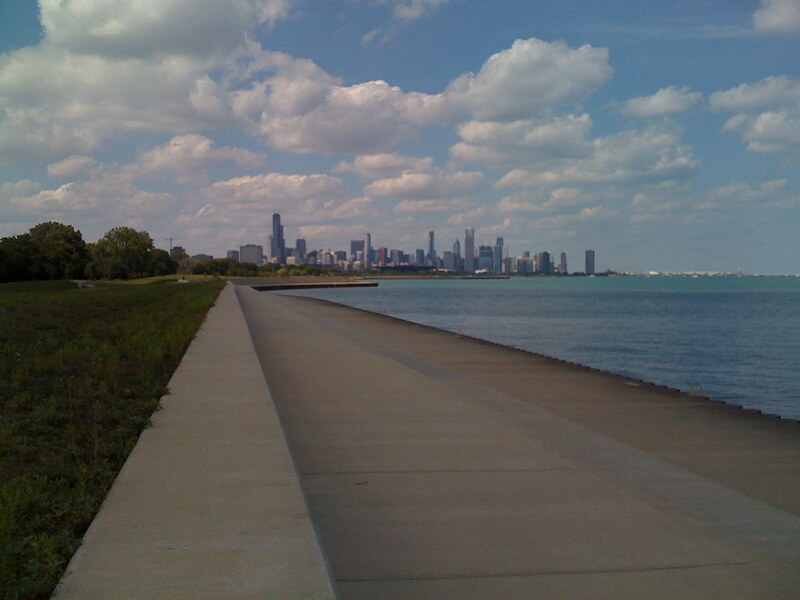 Categories: Where stories come from | Tags: Chicago | Permalink.